Dieselpunk robots. Those two words are usually enough to get the attention of most people, but Diesel Demolition Derby is much more than that. Even though it is a small game that takes 30 minutes to play, it is still a challenge to master. You already know how to play it: pick a card, reveal it and resolve it. Pass your cards to the player to the left. 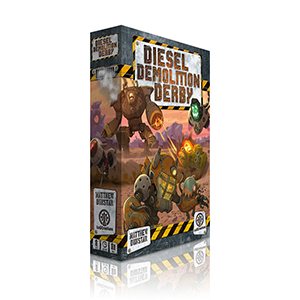 While the basic mechanisms have appeared before in excellent games such as 7 Wonders and Sushi Go, Diesel Demolition Derby’s quick succession of tactical actions give it an action-packed feel through a series of difficult card drafting decisions. Diesel Demolition Derby is designed by Matthew Dunstan, whose design work you can experience in Elysium and many more great games, such as Relic Runners, Costa Rica and Empire Engine. He is also one half of the Good Little Games team, the other being Brett Gilbert, his frequent co-designer. So if dieselpunk robots fighting each other in the same world as Crisis appeal to you, you should definitely check out the campaign for Diesel Demolition Derby on Kickstarter. Do you like to Expand, Explore, Exploit and Exterminate? In less than one hour? You can do just that with Pocket Imperium, a micro space game for 2 to 4 players. 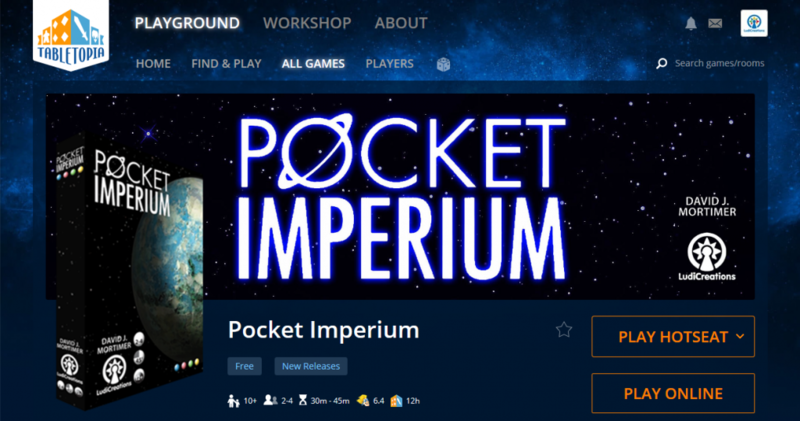 Pocket Imperium is now available on Tabletopia, so you can test you 4X skills there! Would you like to know more about the game? You can read more here. 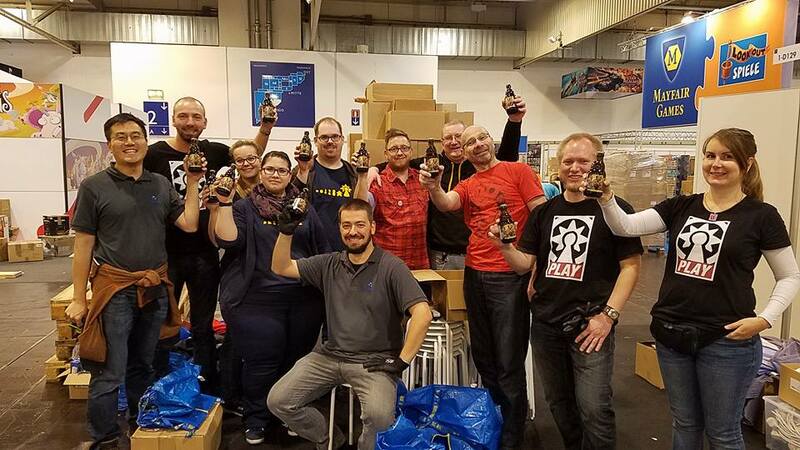 We will be exhibiting again for the 5th time in the board game fair Spiel in Essen, Germany. Every year we have amazing volunteers willing to help us out by explaining our games to the trade visitors and board game enthusiasts.